Though renowned throughout the world for her work on the operatic stage, soprano Harolyn Blackwell began her musical studies in the field of musical theater and has returned to it several times throughout her illustrious career. Born in Washington, DC, in 1955, she became interested in music already in the fourth grade and sang in church early on. In high school, she took part in productions of classic musicals – The Sound of Music, Brigadoon, Oliver! – and decided to pursue music in college. Earning undergraduate and graduate degrees at Catholic University, she studied both classical music and musical theater. In 1979, she impressed Leonard Bernstein with her singing at an audition for West Side Story and was chosen for the cast, making her Broadway debut in the 1980 revival of the musical at the Minskoff Theatre and then touring with the production. In the early 1980s, Blackwell joined the Chicago Lyric Opera young artist program, taking smaller roles. She made her debut at the Metropolitan Opera in 1987 in Massenet’s Manon (playing the actress Poussette) and continued to play mainly soubrette roles there in such operas as Un ballo in maschera (singing Oscar alongside Luciano Pavarotti as Riccardo), The Marriage of Figaro, Die Fledermaus, Werther, and The Daughter of the Regiment (replacing Kathleen Battle). 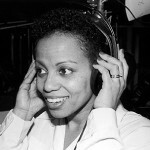 Blackwell enjoyed success across the Atlantic in 1989, when she sang the part of Clara in the Glyndebourne Festival Opera production of Porgy and Bess (1989), a recording of which won a Grammy. Also in the late 1980s, she studied in Italy with opera greats Carlo Bergonzi, Renata Tebaldi, and Sylvia Barrachi, who steered her away from the soubrette repertoire and toward more substantial parts; in the 1990s, she began to take on leading coloratura roles, including those in Lucia di Lammermoor, Lakmé, Don Pasquale, Rigoletto, and The Tales of Hoffmann. Nevertheless, musical theater continued to draw her back. 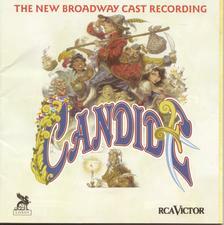 She sang Cunegonde in Bernstein’s Candide in the 1997 revival, directed by Harold Prince, at the George Gershwin Theatre. 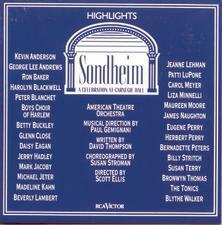 The performance, with the New Broadway Cast, was issued on compact disc that year, with another Blackwell recording devoted to Bernstein having come out the preceding year – Blackwell Sings Bernstein: A Simple Song – on which she was joined on some tracks by Vanessa Williams. 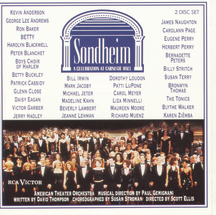 Blackwell was also one of the artists featured in Sondheim: A Celebration at Carnegie Hall (1993), a concert tribute that was broadcast on PBS’s Great Performances and later issued on CD and DVD. Her album Strange Hurt came out the following year, featuring song cycles by Maury Yeston and Rickie Ian Gordon that bridge the gap between classical and popular song. Among the major stages on which Blackwell has appeared in opera are the Teatro Colón in Buenos Aires, Opéra de Nice, Netherlands Opera, San Francisco Opera, Seattle Opera, and Aix-en-Provence. As a concert soloist, she has sung with the Boston Pops, Cincinnati Symphony, Dallas Symphony, London Symphony Orchestra, Munich Philharmonic, New York Philharmonic, Oslo Philharmonic, Pittsburgh Symphony, and many other ensembles under such conductors as Blomstedt, Conlon, Dohnányi, Dutoit, Kunzel, Levine, Litton, Mácal, Masur, Pinnock, Previn, Rattle, Schwarz, Slatkin, and Zinman. With many honors to her credit, she has performed before the president of the United States and the pope.